“What’s for breakfast?” my son asks. He’s visiting from California thanks to a Boston business trip. Sean watches me pour the words into my cereal bowl. “Are you adding milk to that?” he wonders out loud. “I like my words dry,” I respond. My sophisticated adult son sits down with a thud. The look in his gray-green eyes changes from amusement to concern in seconds. I pour two more words into my bowl, because I’ve never heard him ask that question. Usually, it’s the other way around. “What did you just add?” Sean prods. Sean checks his watch. Which actually is a phone, but right now, a text messenger, or perhaps an e-mail generator. He hits a few buttons on the device and then returns to stare at me. I begin to eat. These words are extra crunchy, so the sound is disconcerting. “Why are you eating your words?” Sean seems to have decided to play along with his mother’s eccentricity. A sign of maturity, because in the past, he’s ignored my tendency to be innovative, enigmatic, and ingenious. “What?” my grown-up boy brings his chair closer to the table. “I just thought of three words for breakfast tomorrow,” I reply. Sean stands up, pacing around our round kitchen table. “I didn’t mean anything malevolent by my question,” he says. “If anything, I’m ensorcelled by your ability to sit at your writing desk for hours, making up characters and stories. It’s just….” he pauses, and I note his uneasiness. My son is a confident, assertive, take-charge kind of man, so I’m taken aback by his hesitation. “It’s just what?” I rise to clean my bowl, but of course, I’ve left no word behind. “I get a bit unnerved when you blog about familial activities,” he admits. I stand still, shocked. “I didn’t think you ever read my stories or blog posts,” I respond. Now I’ll need to add another word to my breakfast tomorrow: Gobsmacked. Malevolent: adj. having or showing a wish to do evil to others; Ensorcell: v. enchant, fascinate: Palatable: adj. (of food or drink) pleasant to taste; Familial: adj. relating to or occurring in a family or its members; Disquiet: n. v. a feeling of anxiety or worry; Unnerve: v. make (someone) lose courage or confidence; Innovative: adj. introducing new ideas; original and creative in thinking; Enigmatic: adj. difficult to interpret or understand; mysterious; Ingenious: adj. clever, original, and inventive; Gobsmacked: adj. utterly astonished; astounded. What words did you eat for breakfast this morning? However, I guttled the gallimaufry without degusting and absconded unscathed. I had to look up some of your breakfast cereal in my dictionary today! You are too much fun, although I am a bit worried about the quagmire you’re in. 😳 One thing I know for sure, you are good with your words! What a fun post! I love that your son was willing to play along. Thank you Pam, I learned some new words. Have fun with your son. Thanks for enjoying my word play today! Food for thought here Pam. I’ll be chewing on this one all day. I may not be good at soccer or football, but I sure can play around with words! 😉. Hope you have a terrific weekend also, Jill. Great post – it’s interesting the assumptions we make about friends and family’s relationship with our writing. I have always taken the approach that it’s best to expect nothing from them but that is obviously a defensive position to protect myself against potential indifference! So glad you enjoyed my word play here, Rotimi. Many thanks for visiting. You made me smile, as always. Pam, this was a wonderful post to read this morning and had me chuckling away! I love how your son reads your post – much to your own surprise! As for mobiles, they’re anything but phones these days – I occasionally remind my son he can actually use it to call people! 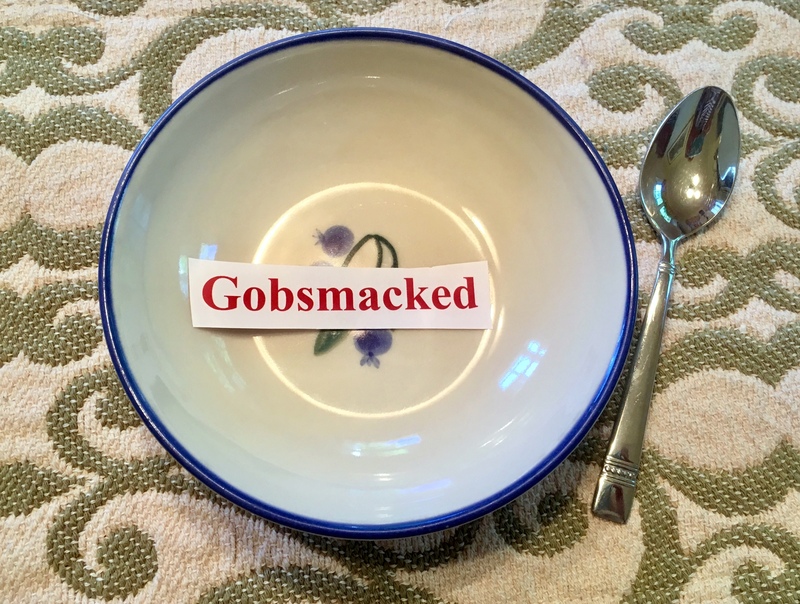 I love your breakfast words – gobsmacked is always fun to use! To reenergise my creative flow I set out for a walk to think of some to add to my breakfast bowl! Now I just have to combine them in a short story! Wishing you many creative breakfasts. I’m so happy to see you back on your blog and sounding fighting fit, your brain sparkling with energy and creativity! 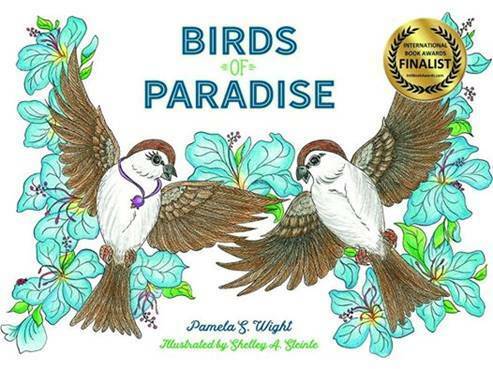 Such a creative and fun post, Pam! This is great – now that I have a couple adult sons, I appreciate this kind of back and forth! Keep these posts coming and happy writing! Haha! We had a match going on this week about who ate the dark chocolate Klondike that was designated for my husband. My kids said it was me, but I denied it! I enjoyed how your son played along with your creative breakfast. Perhaps there is hope for him. I don’t think anyone in my family reads my website. My main words: minimal, thirsty, apprehensive. I’m having a test later and had to stop food and water by 7:30 am. Ohhh, these family members of ours. Truly, I think they’re frightened by our words-what will they reveal about us that they don’t know? Great post, Pam! The words I ate for breakfast are as follows: “Even with your license, you can’t drive by yourself because you’re not on our insurance yet.” Ah, blogging about family! Enjoy your time with your son. 🙂 Hope you’re feeling much better, my friend. What a fun post Pam, I bet it’s wonderous to know your son reads your blog and has learned a few spiffy words along the way! Great word play! I was gobsmacked recently when one of my daughters commented on one of my posts. I didn’t think she even knew I exist, much less ready my blog! The image of your story lights up my morning! I see that in the case of your son, the apple didn’t fall far from the tree. What fun you had at breakfast. A granola of words. Happy Friday the 13th! Enjoy your son’s visit. OH MY GOSH! I had to look these up, I admit. A fear of Friday the 13th- oh my, thank goodness they don’t come around too often (Friday the 13th AND those words). I survived yesterday with no mishap. Did you? I hafta admit, I had never heard “ensorcell” before. So, hey! Your blog is fun AND educational! Thank you for the smiles Pam! My hubby is asking what is so amusing but he wouldn’t like all those weird words…he finds my poetry too heavy though I avoid such words but to tell you the truth, I have digested all those you have mentioned. Thank you, I am so full! Burp! excuse me. Why Pamela, I ate your words of course! They had varying flavours (all delish from lemon to turmeric ) and most were crunchy. Excellent post, Pam! And, happily, in my corner of the world, it was verification. I wasn’t eating it–I wore it! WHooHoo. Wearing verification means you had an excellent day! I’ll need to crowbar ‘ensorcell’ into a few conversations tomorrow. Let me know how that goes, Roy. Perhaps during your run, you’ll mention how ensorcelled you are by the view. I know that if I was running with you and your friends, I certainly would be! What a fun post… and some great new words. I think I’d add a little milk or yogurt to the words in my breakfast bowl, just to make them go down a little smoother. Fabulous, Pam. So glad you gave the definition of ensorcell! I was ensorcelled by your post. 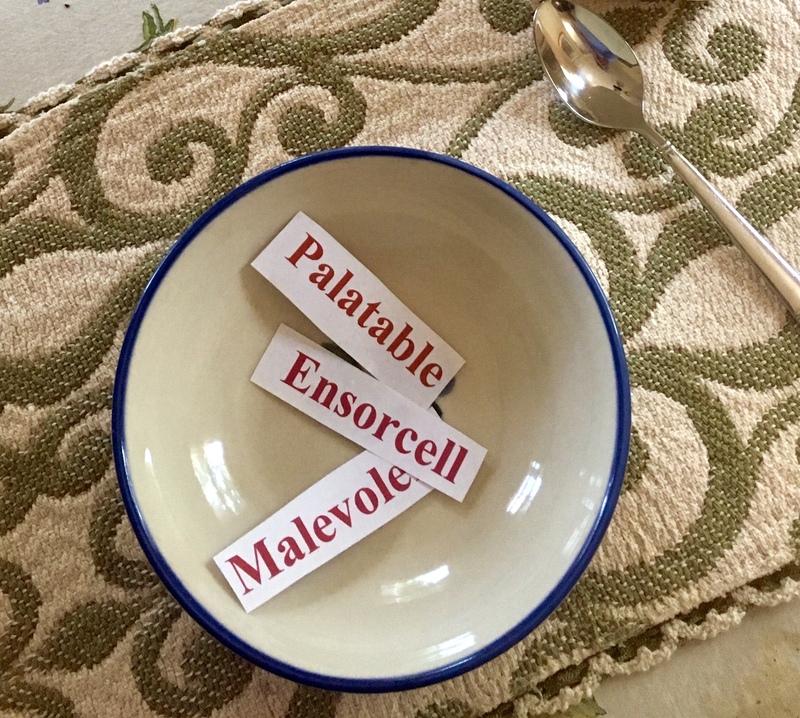 Today’s breakfast words were pleasantly anicipatory but I know already, because Monday is not going to be a good day, Monday’s bowl will contain trepidatious. Like you, Merril introduced me to the word “ensorcell,” I remember its meaning because I see the word sorcery in it. Gotta have those mnemonic devices, you know! Gobsmacked is one of my favorite words, but I seldom use it perhaps because I haven’t been astonished lately. I too had breakfast with one of my sons this morning and I learned “keep my mouth shut” and “bite my tongue”. I listening for a change and had a pleasant breakfast! My guess is that my son reads my posts only sporadically, so I shall not be deterred. Or, I’ll just change a few names and make a “son” story become “fictional.” 😉 Happy word chewing to you, Norah. Bravo, lady. This is a superb vignette that had me ensorcelled from the very start! My your words always be tasty and nutritious, Andrea. I know your blog posts definitely are! How creative and fun, Pam! And it’s nice to learn that your son actually does read your posts. Sometimes, there are magical surprises just around the corner. As to my words this morning, there were only two: ‘coffee first.’ And they went down smoothly! 🙂 Have a great weekend and enjoy your mom/son time, too! I love “chewing on fresh blueberries and enthusiasm,” Pam. I’ve been away, so am now back online. 🙂 Happy weekend! Welcome back and happy weekend to you! A most entertaining post, Pam. I really enjoyed it. I wonder what my sons think of me? My peer group thinks I am eccentric. This is brilliant! I frequently don’t comment, since by the time I receive your post by email, you have an enormous number, many of them so clever, that hesitate to add my mundane offerings! I applaud your success—and I love your writing! Oh, You! Believe me, sometimes I’M intimidated by the clever comments! I always love that you visit here and please, add your two cents as often as you’d like. Thanks for enjoying my writing – you made my day. I love this. YOU are just too CLEVER! What a great post and of course he reads what you post. 🙂 But Pam, I don’t think eating your words is that good for you. Better to get the words out and play on them. This was a fun way to start my morning. I only had to look up ensorcelled, Not bad for someone who is still recovering lost words. 🙂 Gobsmacked explains a lot. Love that word. At this hour my words are still obscure. I’ll have to come back for a second helping. 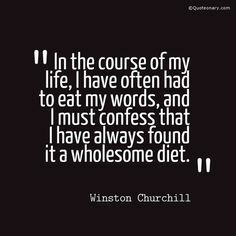 Ah, I think we all need second helpings on some of our words. Gobsmacked is one that sometimes needs to be used frequently, since often I’m beyond surprised at what life has to offer. Pam, this post was so much fun! I’m happy to hear your son joined in. Isn’t it wonderful when business calls them home? I always think of it as a bonus visit. Adult children visiting because of a business trip is generally short and sweet. A win/win. I love that chance to have just a quick whirlwind “sitdownandtellmeevertything” get-together. Rare and fun. 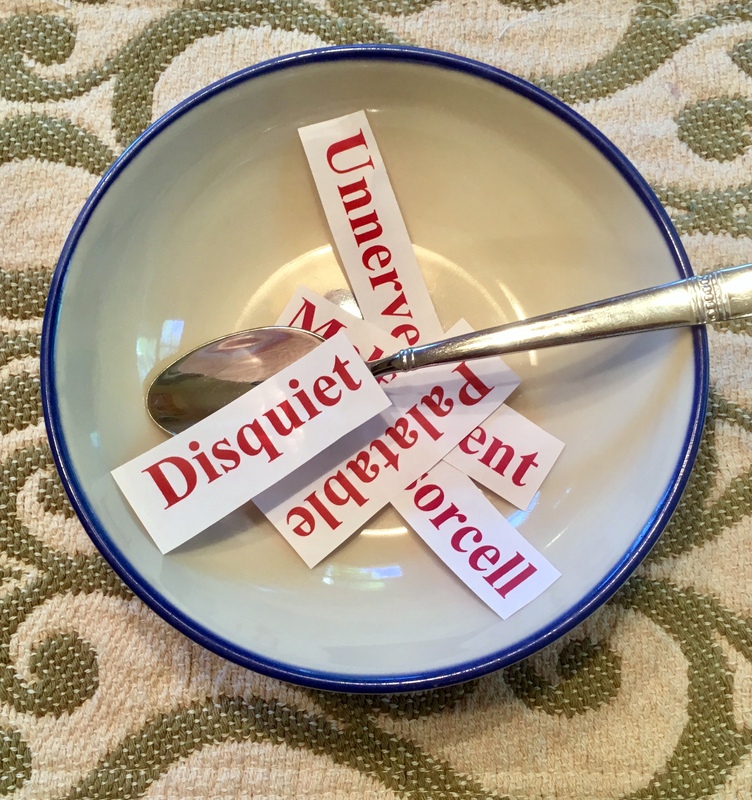 It seems perfectly reasonable to eat one’s delectable words, although we would have thought that this might be an end of day tasting perhaps reflecting on words that had escaped during the day that needed recovery. We are both chuckling at the discovery of your adult son, reading your words on a regular basis and to your own surprise at that! We can totally relate. Every now and again, rare though, one of our four brood will leave a little hint of a visit to our blog, in the comment section. Most of the time, these are incognito visits. What a fascinating visit that was, with your oldest/and his girlfriend. Traveling, walking about and being enthralled by the sights AND the couple. Ahhh, life only is enhanced as we age and watch our progeny explore their own adulthood. What an ingenious post, Pam. And I learned a new word – ensorcell. Now to use it in a sentence – without adding any milk of course. I like my words dry, too. Yes, probably even more so since we are brain damaged sisters. Haha! And that was before our head injuries. Yum! That was a tasty bowl, Pam. And I thought I liked language. You taught me a thing or ten. Such a creative post. My head is usually spinning with words and thoughts and ideas, but I’ve never foind any of them in my cereal bowl. Have a nice end of the year and happy 2019! Yes, Sue and Dave. And, you’ve been so kind to read and leave comments on my blog for a while. 🙂 Happy New Year! !